After thinking a lot I decided to do Warli Painting. I started with the rough draft of the painting and thought I can complete it in a day or two. But I took almost 5 days to complete this painting. Of course during my spare time. Medium used is canvas, spray paint & Acrylic paint. Great attempt in preparing warli painting. Your warli painting is so good. 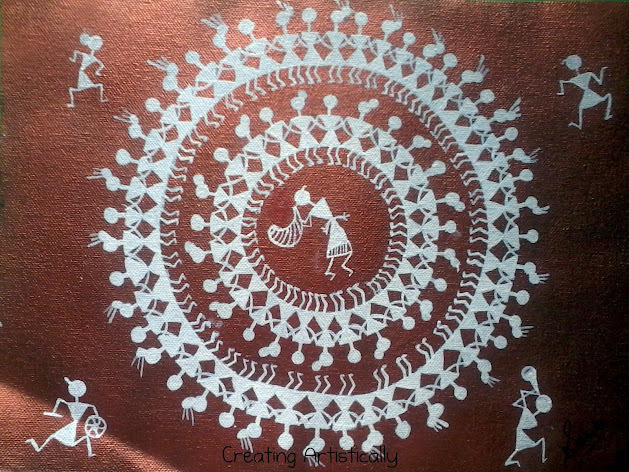 Please look into my Warli paintings greetings which i shared in my blog. Thanks you so much for wonderful diwali post.